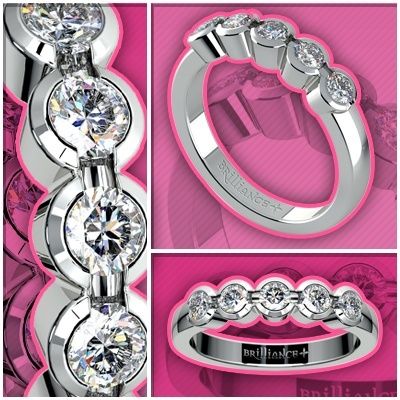 This week’s featured product is a beautiful women’s five diamonds half bezel wedding band. This gorgeous diamond ring weighs a total of ½ carats and is available in a choice of 14K or 18K white gold. Proudly made in the USA, this ring is perfect for weddings as well as anniversaries. With its G-level diamond color, excellent diamond cut, and Sl1 diamond clarity, it makes for an excellent lifetime keepsake of a momentous occasion.